The Kentucky Supreme Court says it will hear a case about whether a Constitutional amendment voters have approved will stand. The court announced Thursday it will hear arguments on Feb. 8 for "Marsy's Law." The proposed amendment to the state Constitution would guarantee the rights of crime victims, including the right to be notified of and present for more court proceedings. Voters approved the amendment on Nov. 6 with nearly 63 percent of the vote. But last month, a state judge ruled the question on the ballot was too vague. He ordered state election officials not to certify the election results until the case could be resolved. 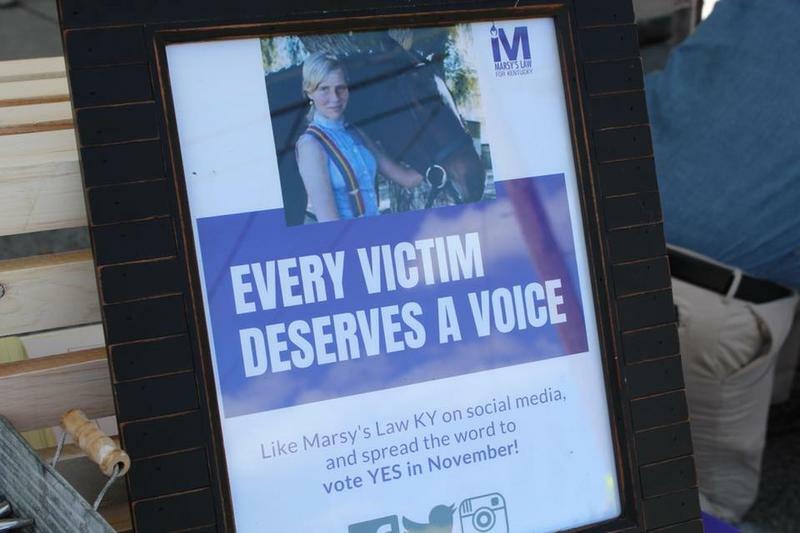 Kentucky was one of six states with Marsy's Law on the ballot this year. Voters approved the law in all six states. For the first time since 2012, Kentuckians will vote in a referendum to amend the state Constitution. 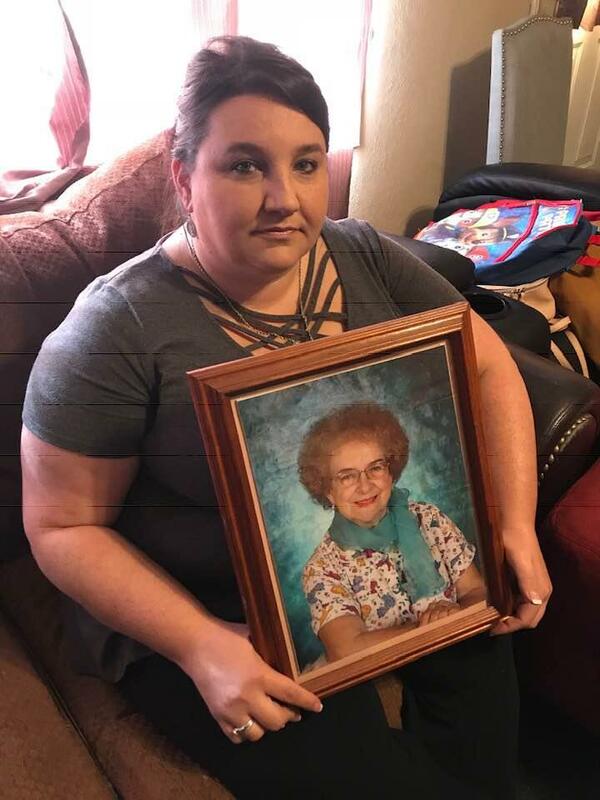 Voters will decide on Tuesday whether or not to approve Marsy’s Law, which would give crime victims the same rights afforded to the accused, including a voice in the judicial process. Some opponents say the referendum is unnecessary and could create unintended consequences. One Monroe County woman, Teresa Huber, is a solid 'yes' vote in support of Marsy's Law. A Kentucky state senator has appealed a judge's ruling not to certify results of a constitutional referendum next month. 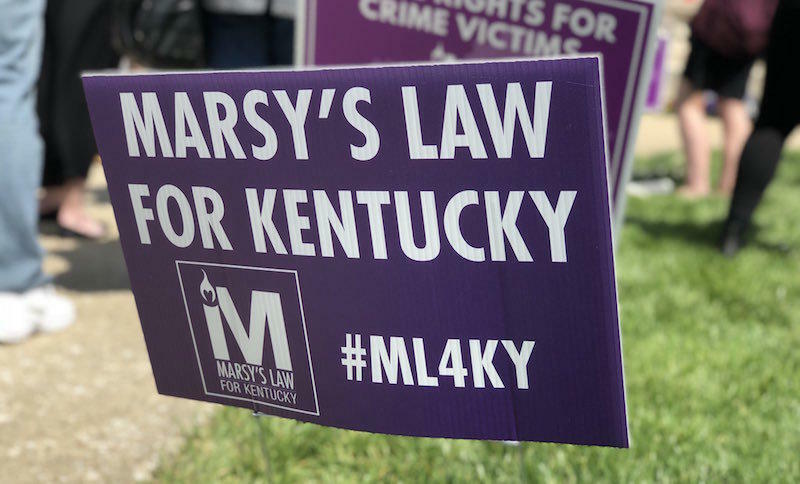 Kentucky is one of six states scheduled to vote on "Marsy's Law" next month. It would amend the state's constitution to include rights for crime victims, like the right to be notified of and present for most court proceedings. Monday, Franklin County Circuit Judge Thomas Wingate ruled the question posted to voters on the ballot is misleading. It is too late to remove the question from the ballot. But he ordered election officials not to certify the results of the Nov. 6 election.